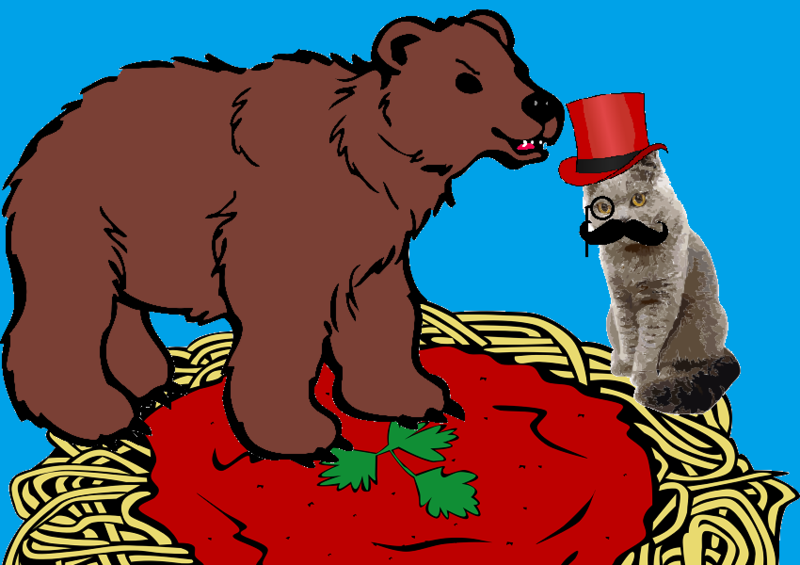 The Bruins play the Fancy Cats – this time with Pasta! The Bruins play the 3rd game of their road trip tonight, playing in Sunrise against the Florida Panthers. Two weeks ago, after their impressive win streak, the Bruins went on an ill-fated three game road trip that resulted in three consecutive losses. But last Saturday, they hosted the Blue Jackets at the TD Garden, and came out with an overtime win that was perhaps not as close as the score would indicate. Then the B’s embarked on the current road trip with beating a lackluster Islanders team soundly in a shutout, following up with a decisive 5-1 win vs the New Jersey Devils. So those 3 losses have (so far) been followed with 3 wins in a row. The only down side was when Sean Kuraly stopped a shot with his hand, and left the game. Anyway, this puts the Bruins at 99 points, putting them in 3rd place league-wide, and are in 2nd place in the Atlantic division, behind Tampa Bay who are a whopping 21 points ahead of them at 120 with 7 & 8 games remaining. 3rd-place Toronto is only 6 points behind. The Bruins also now have three 30+ goal scorers in Brad Marchand, Patrice Bergeron and David Pastrnak. Marchand is currently the Bruins leading scorer by points, with 90, making him the first Bruin to reach that threshold since Marc Savard did so in 2006-7. Marchand is currently 8th in the league in total points. Yesterday was a non-working day for the team, as they had their annual visit with the Jacobs family in Florida. The team spent the day tooling around on off-road bikes, golfing, and touring the Jacobs’ stables. The Bruins have recently been working through some late season injuries, with David Pastrnak, Kevan Miller, Torey Krug, Matt Grzelcyk, Marcus Johansson and Jake DeBrusk all missing multiple games and Sean Kuraly, & Noel Acciari having each returned from injuries requiring the use of a full face shield, and of course, Kuraly is injured again. Karson Kuhlman left P-Bruins practice yesterday and was called up on emergency basis. Matt Grzelcyk (forearm), Marcus Johansson (lung), and Kevan Miller (upper body injury) have not been playing, but were planning to join the team in Florida for practice. Jaroslav Halak is today’s starting goaltender. Tagged Boston Bruins, Florida Panthers, Karson Kuhlman, Sean Kuraly. Bookmark the permalink. Quota – and still 23 mins left. That should give Pasta a boost. Remind me never to fight Noel Acciari! You get a goal! And you get a goal! And you get a goal! Crazy. Pasta a bit sloppy tonight. I prefer al dente! That power play was terribad. 1 shot on goal, Halak handles the puck 4 or 5 times. Yuck. My neighbor Karl has the initial alliteration thing going on. I’ve never asked what his middle name is – I’m guessing/hoping it’s Louis. Sad about the one goal, happy about all the rest. I like that they’re coming across the lineup! Big man enjoyed that one!